BIOBANK CO., LTD. (located in Okayama City, Okayama Prefecture) has performed a collaborative research with associate professor Koji Wakame and his study group from　the Department of Pharmacology at Hokkaido Pharmaceutical University School of Pharmacy (located in Sapporo City, Hokkaido). The fermented vegetable extract (OM-X) showed a potential to regulate the immune system and protect cells. The results have been presented at the 23rd Meeting of the Japan Mibyou System Association in November 2016 and published in the Integrative Molecular Medicine in January 20, 2017. BIOBANK CO., LTD. develops and produces an extract (OM-X) that was made with fermented vegetables, fruits, seaweeds, mushrooms and other ingredients. Unfortunately, it is difficult to show the specific scientific basis about the function of health foods, which are a mixture of various kinds of raw materials like OM-X, to living organisms. Based on this background, BIOBANK CO., LTD. has conducted a collaborative research with associate professor Koji Wakame from Hokkaido Pharmaceutical University School of Pharmacy in order to find the functionality and mechanisms of OM-X. The in vitro study showed that the macrophages from mice were activated by OM-X. The in vivo study also showed that the administration of OM-X causes the change in the gene expression in the liver of the mice which will inhibit inflammation and protect cells. We added OM-X to a culture of lower gastrointestinal tract cells from rats and measured the production of GLP-1, one of the hormones which promotes the secretion of insulin, by enzyme-linked immunosorbent assay (ELISA). According to the results, the production of GLP-1 in the gastrointestinal tract cells increased proportionally with the added amount of OM-X (Chart1). We added OM-X to a culture of macrophages from mice (RAW264.7 cells) and measured the production of nitric oxide (NO) which is an indicator of the activity of macrophages and cytokines (IL-6、TNF-α) which activates the immune system. Regarding the production of NO and cytokines, both were increased by adding OM-X. It showed that OM-X stimulates macrophages directly and activates the immune system (Chart2). Furthermore, we administered OM-X to the mice and measured the expression levels of 597 genes in the liver. As a result, the expression level of 4 genes increased and the expression level of 23 genes decreased. Since the decreased 23 genes were involved into inflammation and apoptosis (cell death), this result suggested that the ingestion of OM-X provides the effects of suppressing inflammation in the liver and protecting cells (Chart3). The potential to alleviate fatigue! The fermented vegetable extract OM-X was found to have an enhancing effect towards muscle endurance. A research group led by instructor Tomohiro Ito Ph.D. from the Department of Fisheries, Faculty of Agriculture at Kinki University (Nara, Japan) and BIOBANK CO.,LTD. (Okayama, Japan) have conducted a collaborative research. We found out that the fermented vegetable extract (product name: OM-X) that is a combination of fruits and vegetables naturally fermented with probiotic strains can facilitate the alleviation of fatigue and the improvement of muscle endurance. 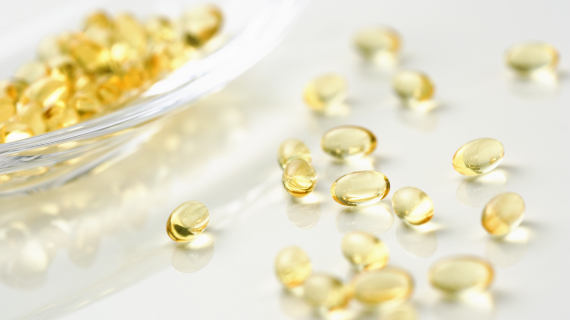  Anti-fatigue action in mice was observed after the administration of the fermented vegetable extract OM-X.  The following effects were observed in mice: an acceleration of lipid metabolism, suppression of intravital oxidative damage and an enhanced degradation of the substances causing fatigue.  This allows the possibility of a future application of this extract to foods and supplements with an anti-fatigue capability. BIOBANK CO.,LTD. manufactures OM-X which is a combination of vegetables, fruits, seaweeds and mushrooms lengthy fermented with probiotic strains, and sales the final encapsulated product around the world. A research group led by Dr. Ito conducted a forced swimming test with mice anticipating to observe a highly antioxidant property of OM-X and its effect on fatigue induced from oxidative stress which was corresponding to the result of a questionnaire to OM-X users whom commented that they felt less fatigued after the ingestion of OM-X. The result of the test suggested that the mice that were administered OM-X showed about twofold longer duration of their swimming time than the other group without OM-X. 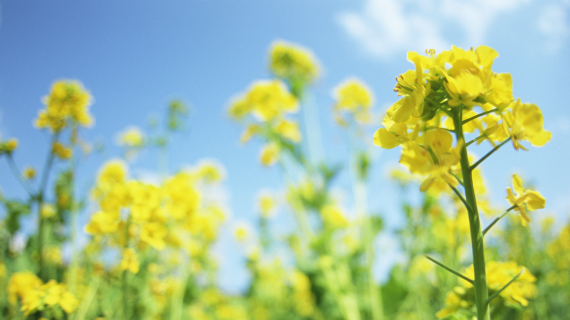 The serum and lipid component concentration in their liver (cholesterols, triglycerides and phospholipids) were reduced. The gene expression that is involved in the production of a particular enzyme that acts in the ornithine cycle which metabolizes ammonia, a substance causing mice’s fatigue, was also increased. The current result encourages us to expect OM-X to be helpful in reducing fatigue and improving athletic ability. On the basis of these results, we deemed the mice with OM-X administration could reduce their accumulated fatigue which in turn extends the duration of their exercise. This achievement shows that OM-X is a helpful food/material to alleviate fatigue and improve athletic ability. 60% of the working population in Japan is aware of the feeling of fatigue. Half of them are suffering from chronic fatigue (ongoing fatigue over 6 months) (2). Many studies about fatigue relaxation have been ongoing. Some studies suggested that natural ingredients such as imidazolepeptide in chicken breast and astaxanthin in fish meat are helpful to soothe one’s fatigue (3,4). The development of foods and supplements with an anti-fatigue capability is expected in the future, which are based on observed properties to facilitate the improvement of athletic ability (muscle endurance) and metabolic function and detoxification in the liver. The key to achieve health and longevity is boosting the enzymatic property in the gut! Muneaki Takahata Ph.D. (Agriculture), our doctoral research fellow, has released his book from Kodansha Plus Alpha Shinsho. 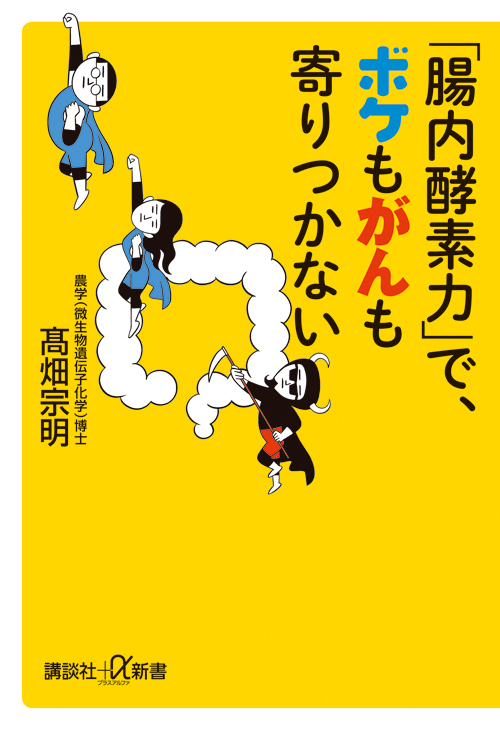 The title is “Enzymes in the gut keep dementia and cancer away (literal translation to English)”. Recent years, the intestinal environment of Japanese has continued to deteriorate and the number of patients with bowel cancer has increased. Bowel cancer became the number one cause of cancer related death among females, and the number three among males. There are many other current diseases associated with the intestines, including allergic reactions, atopic dermatitis, osteoporosis, systemic cancer, depression and dementia. 70% of immune cells are present in the intestines and the enzymes that exist there can activate them. This book introduces you a way to increase the enzymes in your intestines from various aspects.